HELENA-WEST HELENA, AR--Meadowbrook Park or Meadowbrook Subdivision is what the new neighborhood is being called right now. 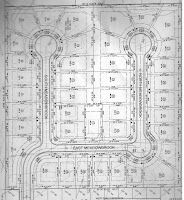 The subdivision is new and being built by a group of investors taking advantage of tax credits available for housing. 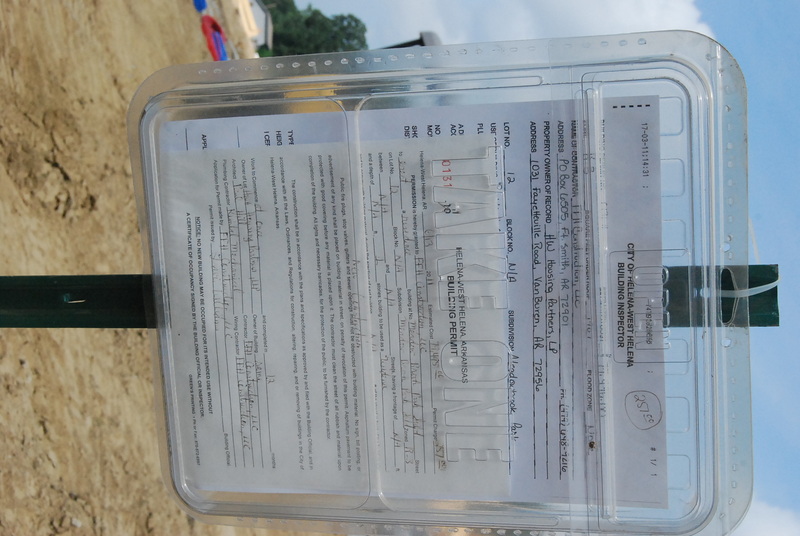 HW Housing Partners, LP out of Van Buren, Arkansas is listed on the building permit as the property owner. For the past several years the investors have worked with city officials to get this project off the ground. The home building market is key to our economic survival. This market creates jobs and helps to sustain the local economy while providing energy efficient homes in safe neighborhoods. 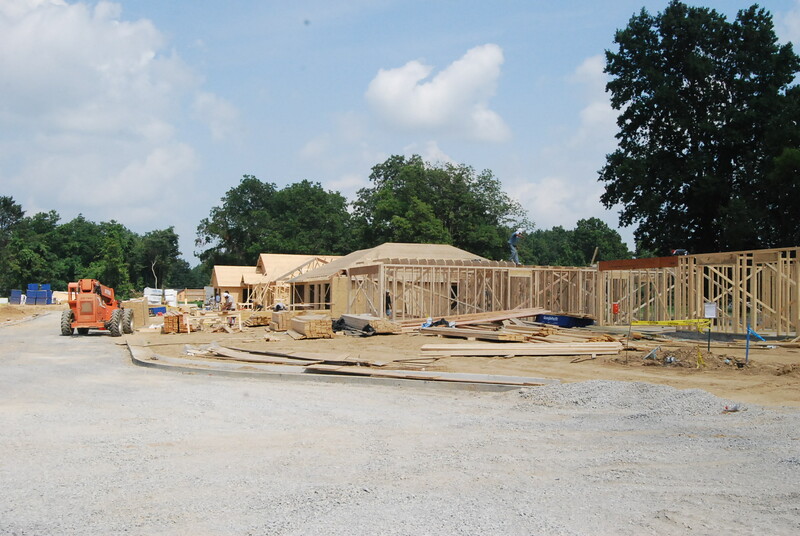 Construction in underway for the more than 25 new homes being constructed. The neighborhood is located just off West Street and nearly intersects with Chicago Street in the New Addition area of town. This subdivision provides a face lift for the area as well. 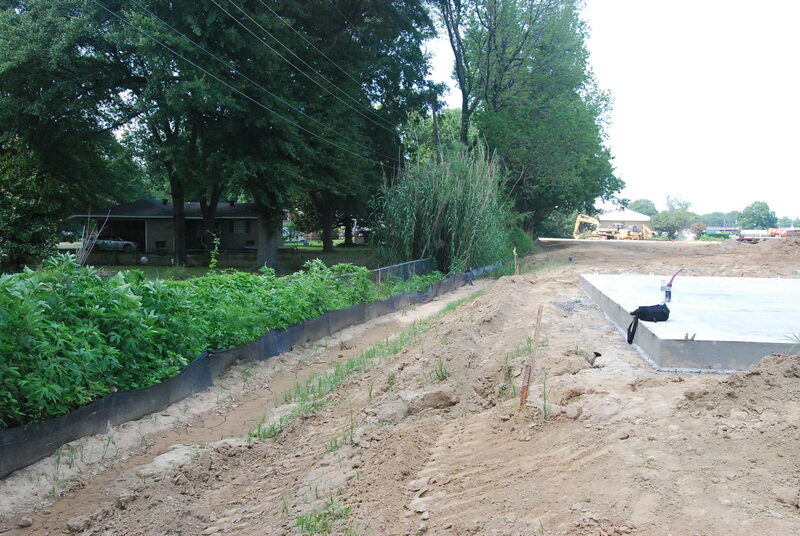 The developers demolished several block homes and cleared a wooden and weeded area to make way for these new homes. The developers have done substantial drainage work in the area as well. 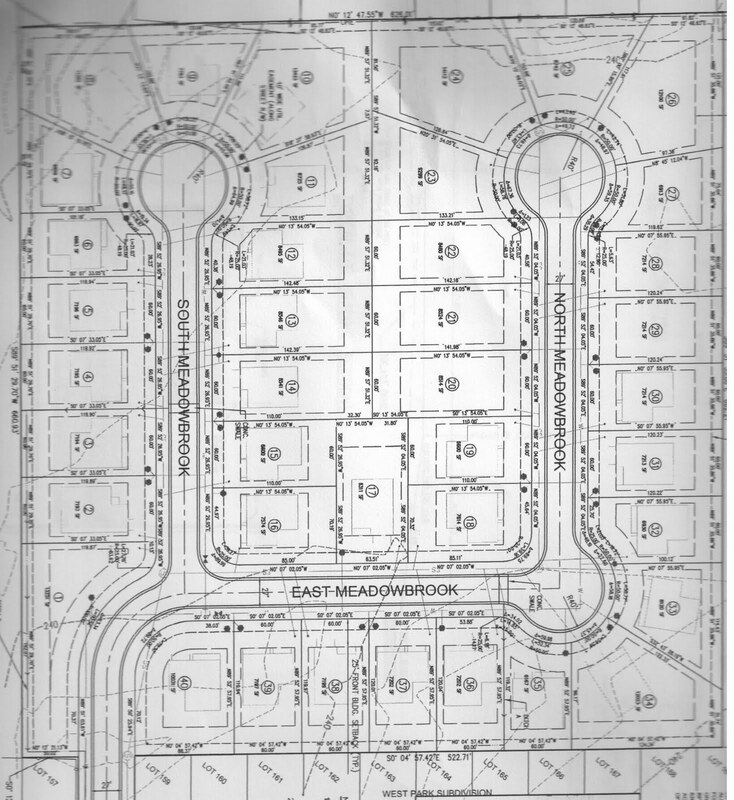 One concern raised was whether the drainage from the new subdivision will hurt the Westwood Subdivision to which it attaches on the western edge of the subdivision. As shown in the photo to the left, the base of these new homes sits equal to or higher than the five (5) foot fence around the homes in the Westwood Subdivision. The home in this photo is that of Mr. and Mrs. Jerry and Laswanna Donaldson. The flow of the water seems to be north to south. The Best Western Motel is to the north in this photo. Construction work being done by a variety of subcontractors. The general contractor is FFH Construction, LLC out of Fort Smith, Arkansas. According to the Arkansas Secretary of State, John Alan Lewis is the CEO of this company which was incorporated on December 21, 2006. Mayor Arnell Willis praised this project during his "State of the City Address." In that address he credited the former administration with getting this project off the ground.